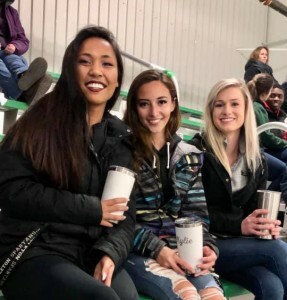 Most of Castleton’s students find themselves on the university’s campus as freshmen, just a few short months after graduating high school, bright-eyed and eager for the journey that awaits and attempting to settle in before the upperclassmen return. For many others, they experienced the bright-eyed and eager phase elsewhere — at a community college that only offers two-year degrees, a four-year institution that just wasn’t the right fit, or a university they loved, but didn’t offer the opportunities and activities they had hoped for. Approximately 25 percent of Castleton’s incoming students — like Max Tempel, Kylie Laberge, and Duncan Campbell — transfer to the university from another institution each fall. Max Tempel began his college career at Siena College in New York. A Public Relations major from Averill Park, New York transferred to Castleton after his freshman year. Tempel wanted to continue his athletic career, and Castleton’s wrestling program offered him that chance. Castleton made it easy for Tempel to transfer, with support from the admissions team and his advisor. Tempel, now a junior, is captain of the university’s wrestling team and works as a community advisor. Last year, he was named treasurer for the Student Government Association. “Castleton heavily supports transfer students by offering a day-long transfer registration. This is an awesome way for transfer students to get acclimated to Castleton and what it has to offer,” he said. 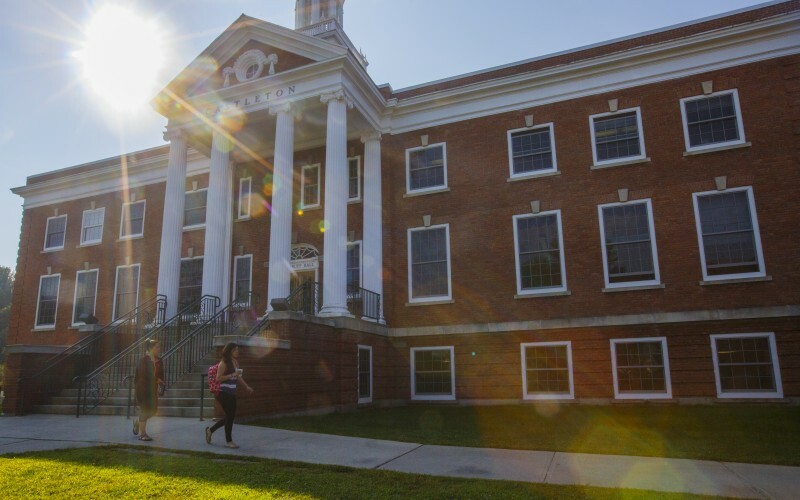 Castleton makes continuing education both accessible and affordable for students finishing a degree program at select schools across Vermont and New England, including Greenfield Community College in Massachusetts, SUNY Adirondack in New York, and Landmark College in Vermont. The university also works closely with Community College of Vermont graduates who are interested in continuing their education after earning an associate’s degree. Students who successfully complete CCV’s program are guaranteed admission to Castleton, where they receive academic and financial aid advising to ensure a smooth transition. Castleton worked with CCV to develop pathway plans for more than 20 programs of study, which detail how credits earned at CCV will be applied to students’ studies at Castleton, ensure a seamless transition to a bachelor’s degree program. Kylie Laberge is just one of the many students who come to Castleton after completing a two-year degree at Community College of Vermont. “I chose Castleton because it is the only school in Vermont to offer a forensic psychology program and it also offered the transfer success scholarship for CCV graduates,” she said. Now a senior, Laberge decided to continue her education at Castleton due to the proximity to her home in Hinesburg, Vermont. Laberge also knew that by transferring to Castleton, all of the credits she earned at CCV would be accepted. For Laberge, making the transition from a college without a residential component to one with a robust residence life was one of the best parts about becoming a Spartan. Being around other students five days a week, combined with Castleton’s home-like atmosphere “really instilled a sense of family,” she said. Like Tempel, Laberge found the transfer process stress-free. “The transfer process for me was very easy as I was coming from another Vermont State College. All I had to do was complete the application then meet with a transfer admissions counselor about what major would best suit me. I didn’t have to worry about getting all of my credits transferred. Then I came for orientation and to choose my classes. Overall it was very smooth,” she said. Other students, like senior Duncan Campbell, come to Castleton toward the end of their educational journey. 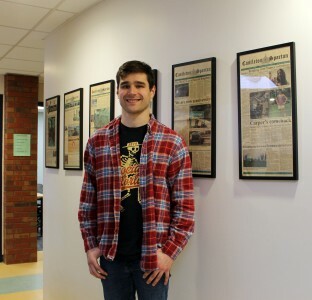 Campbell, a Connecticut-native who’s studying journalism at Castleton, attended both George Washington University in Washington D.C. and University of Missouri before taking some time off. After family and friends suggested he return to school to finish his degree, he landed at Castleton.